There are reports of coal mining in North Staffordshire dating back over 700 years, yet in the final decade of the twentieth century commercial coal mining in the county came to a sudden halt. 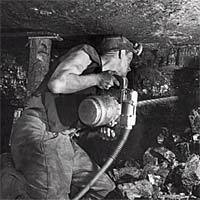 This exhibition aims to provide visitors with a broad overview of the coal mining industry using words, images, sound and artifacts from the North Staffordshire Coal fields. Copyrights to all of the resources on this web site are retained by the individual rights holders. They have kindly made their collections available for everyone to share and enjoy. Please respect copyright.